The University of Illinois at Urbana-Champaign today announced that it will lead a new center to improve the resiliency of critical infrastructure, which includes dams, information technology, emergency services, transportation systems and critical manufacturing. The Critical Infrastructure Resilience Institute (CIRI) is funded through a grant – anticipated at $20 million over five years – from the U.S. Department of Homeland Security. to prepare for and recover from disruptions caused by deliberate attacks, accidents and naturally occurring threats or incidents. The Center has a particular emphasis on business and policy issues that confront the industries that run and support critical infrastructures. CIRI will receive $3.4 million in its first year. Critical infrastructure systems are susceptible to catastrophic interruptions, whether it's from natural or malicious causes, said David M. Nicol, principal investigator and director of the Information Trust Institute. Our goal is to address the systematic challenges we face in making sure that infrastructures that modern life depends on continue to work, even in the face of disruptions. CIRI's first projects will be conducted at UIUC, Stanford University, Northeastern University, Pacific Northwest National Laboratory, University of Pennsylvania, University of Southern California and University of Washington. Moving forward, Illinois will create open calls for additional projects in areas of critical importance to DHS stakeholders. "This is quite a different model than we've had at ITI with centers like TCIPG, the Science of Security Lablet, or the Assured Cloud Computing Center, both in the breadth of the problems and technologies, and in the way the research projects are identified and selected," Nicol said. The UIUC projects explore analysis of cyberinsurance as a market-based solution for cyber resilience, and development of technology to support tracking and analysis of information in digital manufacturing that can be used to improve its resiliency. Other projects including supply chain cyber-security assurance, first responder cyber-security, regulatory options for managing systemic risks, resilience governance, flood risks, and business and economic resilience in disasters. 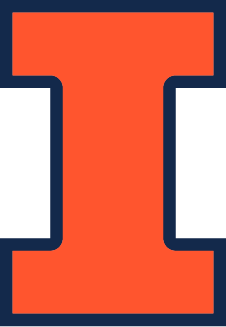 At Illinois, efforts will be led by the Information Trust Institute, which has strong expertise in the science of security, and the Illinois Applied Research Institute, which specializes in translational research and development. The DHS decision to place the CIRI at Illinois was based on our research team's reputation for leadership in technology research – in particular the outstanding expertise in cybersecurity and trust in cyber-physical systems, said Jeffrey Binder, director of ARI. However, the University's experience managing large-scale programs and its innovative technology transition model were also key factors in the award. Nicol, a member of ECE Illinois' faculty, agreed that the Center has great potential for transforming the design and operation of critical infrastructure: We have an interdisciplinary group of engineers, lawyers, business experts and others who are all committed to quickly delivering solutions to the field.